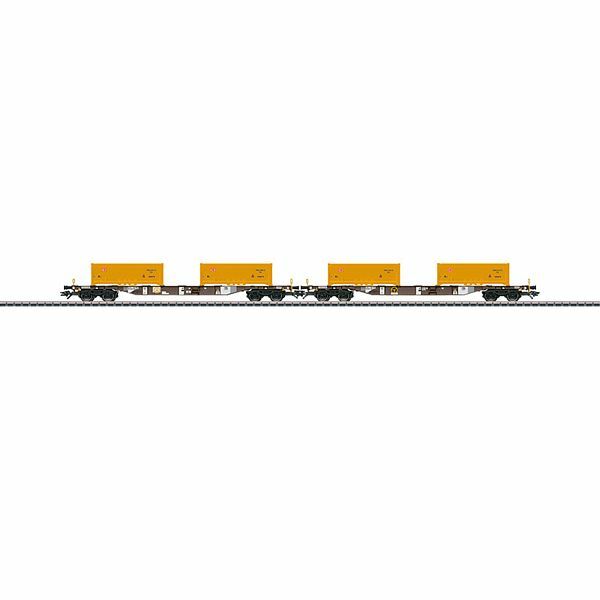 Prototype: 2 type Sgns four-axle KLV transport cars for AAE. Each car loaded with 2 tubs of excavated soil from the project Stuttgart 21. The cars look as they did in 2014. Model: Same as 47130 but with different car numbers and different tub numbers.